Strengthen your back with the Star Trac Instinct Lat Pull Down Machine. The amazing machine has an adjustable seat pad along with a thigh support pad to fit users of all heights. The bar utilizes multi-position hand grips offering the ability to alter your workouts. The machine comes with a 235 lb. weight stack which utilizes the patented Lock N Load weight selection system. 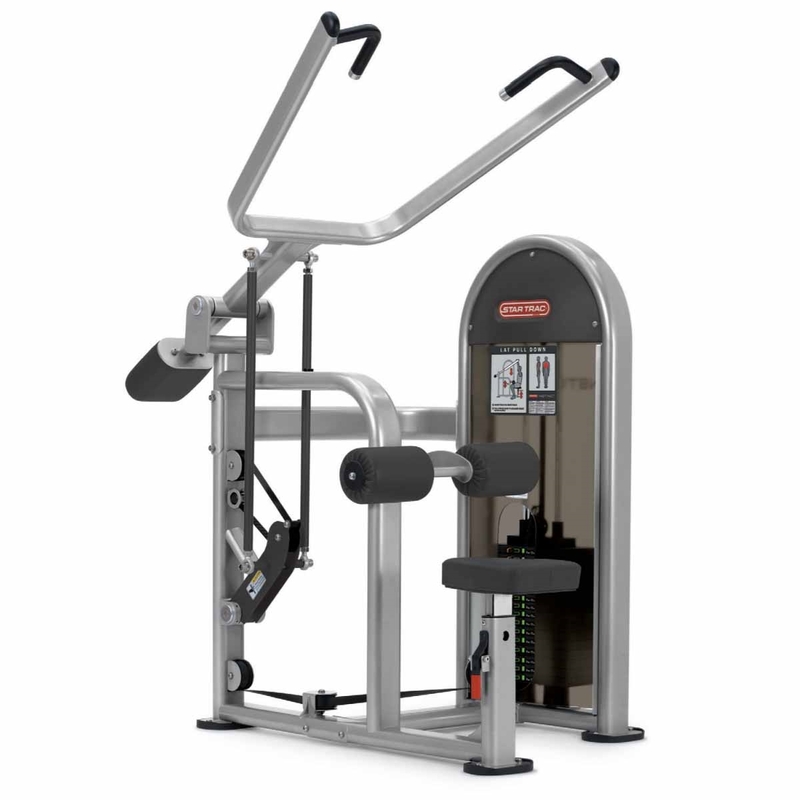 The Star Trac Instinct Lat Pull Down Machine will look just dynamite in any gym. Kevlar Transmission Belt for Extended Life and Easy Replacement. Durable Rubber Feet Protect Floors. Buy Star Trac Instinct Lat Pulldown online. If you are interested in the Star Trac Instinct Lat Pulldown for sale, feel free to enquire above.